One person died on Wednesday after a semi-truck carrying tanks of anhydrous ammonia crashed, spilling four tanks of the dangerous substance onto the roadway. The truck accident happened on westbound I-90, one mile east of Cle Elum. The collision was between the semi-truck hauling ammonia and a car. According to the Washington State Patrol, the semi-truck was traveling westbound when it left the roadway, overcorrected, and rolled, losing its ammonia-filled tanks and coming to rest in a ditch. A second semi-truck struck the ammonia tanks that were lying in the roadway; the driver of that truck was not injured. The driver of the semi-truck died in the crash. News reports have not released details on the status of the driver of the car or any passengers in that vehicle. 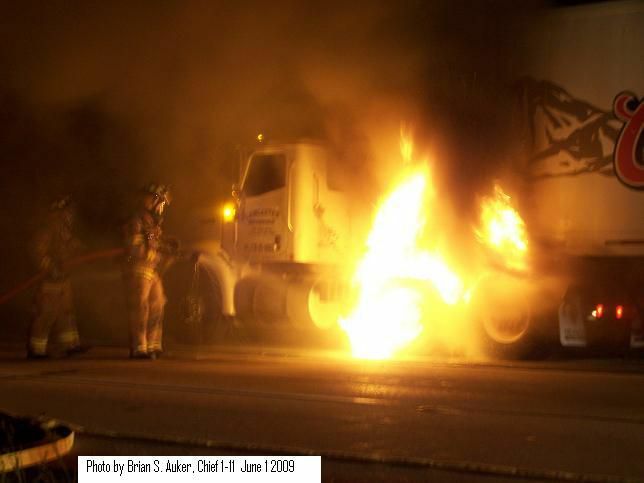 The crash started a fire which was extinguished by firefighters. Contractors with the Environmental Protection Agency arrived on the scene to locate and seal the ammonia leak; a specialist later arrived to reseal the leak. One Washington State Patrol trooper was hospitalized for possible exposure to the spilled ammonia. Anhydrous ammonia, which is used as a nitrogen fertilizer on farms and an industrial refrigerant, is an extremely hazardous material. In addition to closing a 20-mile stretch of I-90, emergency responders evacuated areas near the spill and issued a shelter-in-place warning for residents in the area. Residents one mile downwind of the crash were advised to prevent the dangerous gas from entering their houses by closing all doors and windows and turning off all heating and air conditioning systems. Anhydrous ammonia is a colorless gas. Exposed to the pungent, suffocating fumes can cause irritation to the eyes, nose, and throat; chest pain, wheezing, and difficulty with breathing; pulmonary edema; burns and blisters; and frostbite. At high enough concentrations, exposure can be fatal. Exposure to the dangerous gas occurs most frequently at production plants, storage facilities, and other locations where ammonia is used or transported; it is also a major hazard at makeshift methamphetamine laboratories, as it is used in the creation of the drug. Transport of anhydrous ammonia is regulated by the United States Department of Transportation, which classifies the substance as a Division 2.3 toxic gas for international shipments and a Division 2.2 non-flammable gas for domestic transportation. In addition to requiring specific marking about inhalation hazards on any containers carrying the gas, the federal government places strict requirements on how the substance can be transported. Allowable methods of transportation include certain types of specialized road trailers, a specific model of insulated tank car for rail transport, or a nurse tank. News reports have not stated whether the truck that lost its load was compliant with federal regulations for the safe transport of anhydrous ammonia.